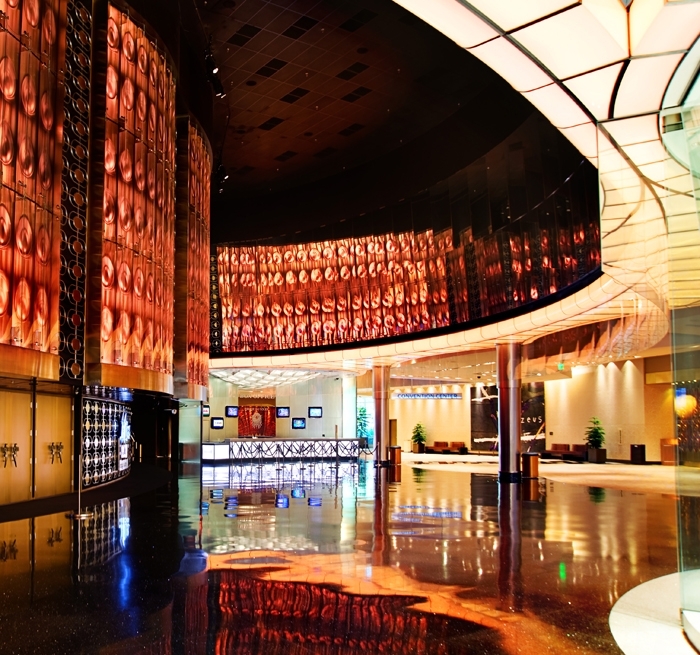 Auerbach Glasow provided lighting design services for the theater interior and related public space for the MGM MIRAGE CityCenter’s Viva ELVIS™ by Cirque du Soleil®. 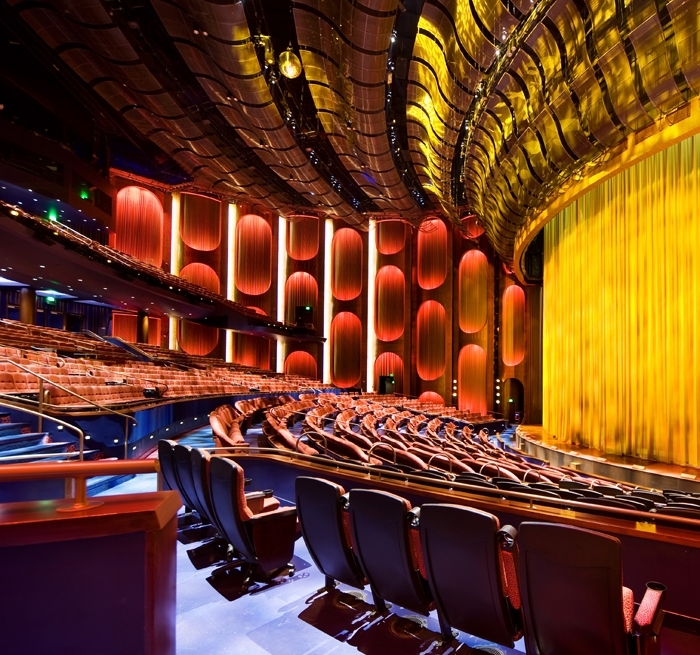 The 1,840-seat theatre was the seventh permanent venue in Las Vegas for Cirque du Soleil. The new structure integrated with the ARIA Resort and Convention Center was specifically designed to accommodate the design and production requirements by Cirque du Soleil for the production of Viva ELVIS™. Auerbach Glasow worked closely with the MGM MIRAGE Design Group, HKS, Inc., interior designer Cleo Design and Cirque du Soleil designers to capture the vibrant feeling of the Elvis show through the architectural lighting. 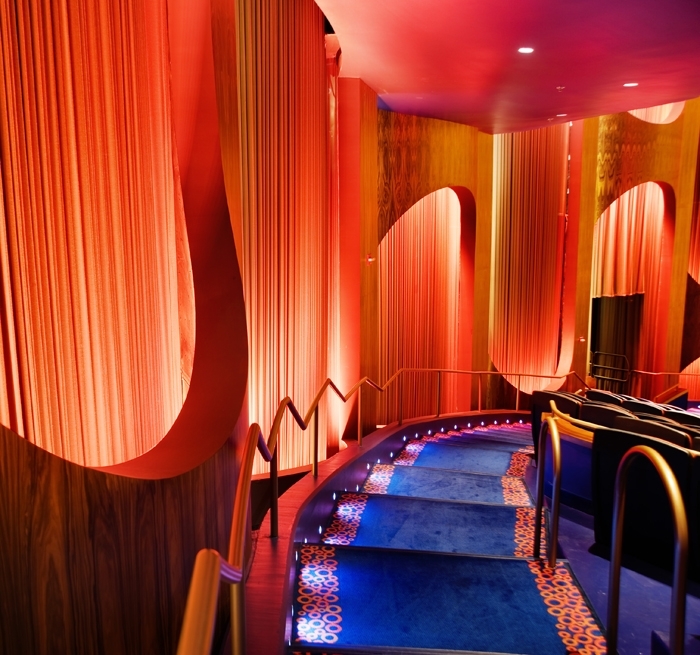 The vibrant, kinetic colored LED lighting for the public space foretells the opulence that is awaiting the patron inside the theatre and the Cirque experience begins even as you approach the lobby. Once in the lobby, patrons are surrounded by color and movement which intensifies as show time draws near. The feeling in the lobby carries through to the theatre and is expressed again in the audience chamber as the show begins. 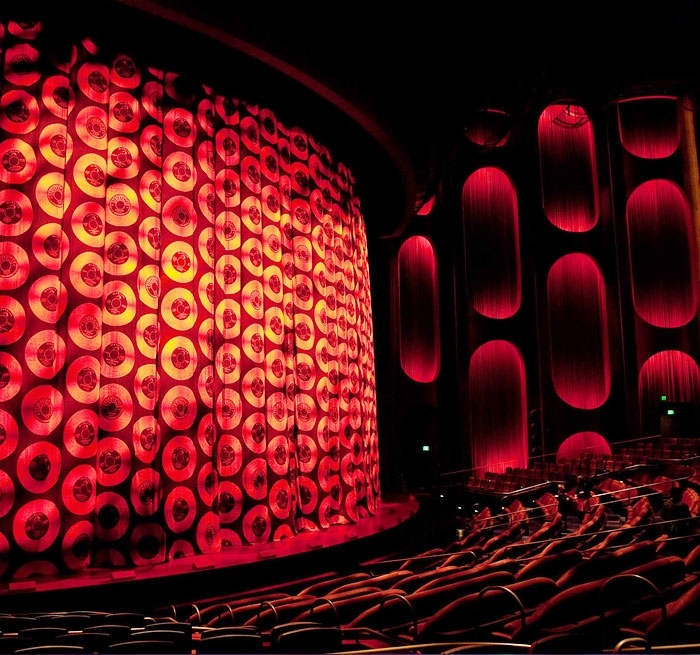 The Viva ELVIS™ theatre became the home of Zarkana™ by Cirque du Soleil in 2012.